The Financial Solutions Network is a team of experienced independent advisors who design financial plans and manage money to build, preserve and transfer wealth for individuals and families. For institutions, we design and manage investment programs for businesses, foundations, and endowments. We operate in a fiduciary role – providing the highest standard of care in creating comprehensive investment and financial solutions. We are determined to become our clients’ trusted advisor relationship by aligning their dreams and core values with innovative financial solutions. The Financial Solutions Network, LLC advisors act in fiduciary capacity when providing financial advice to a client. We build and maintain values-based partners who personify excellence in their knowledge, skill, delivery of service, and human empathy. Our goal is to become the most important business relationship in the lives of our clients. TFSN is organized around four objectives and services: financial planning, wealth management, institutional solutions, and philanthropy. Each of the four boxes in our logo represent the separate and distinct aspects of our business. All progress starts by telling the truth. We live in expectation of constant achievement. We practice the Referability Habits. We pledge to understand your background, values, objectives and priorities. We listen, keep you informed, and help you achieve your goals. Our investment strategies are built around our clients, not products. Our financial planning progress helps you develop a personalized road map. 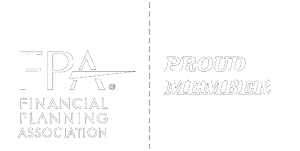 Ben Franklin defined philanthropy was defined by Ben Franklin as “doing well by doing good.” Whether it be assistance to our clients in their charitable planning and causes, we believe in the value of giving back and paying forward. To that end we established Commitment 2 Kids (C2K and C2K Elite), a non-profit 501(c)(3) corporation.